By Nancy Pfeiffer. Bedazzled Ink Publishing Co., 2018. 254 pages. $14.95 paperback. For years, Nancy Pfeiffer toggled back and forth between the ends of the Earth —her home in Alaska, where she worked as a mountaineering guide and avalanche educator, and Chile's Patagonia region, where she rode horses through wild country and immersed herself in a culture that fed her soul. "Riding Into the Heart of Patagonia" is her story of adventure, discovery and deep caring for the people she met along the way. It is also a story of global change and environmental activism. A self-described eccentric, Pfeiffer, instructing in Patagonia for the National Outdoor Leadership School, or NOLS, in the early 1990s, decided that the way to experience the country was the way locals did — on horseback. She was unhappy with living and thinking like a foreigner, so, back in Alaska, at the age of 38, she took horseback riding lessons. A few years later, she was ready. "That fall, I did it. I left Alaska for Patagonia, taking with me a horse's first-aid kit far more comprehensive than the one I brought for myself, a pair of new saddlebags, some horseshoeing tools I didn't know how to use, and way too much excess baggage in worries and uncertainties." 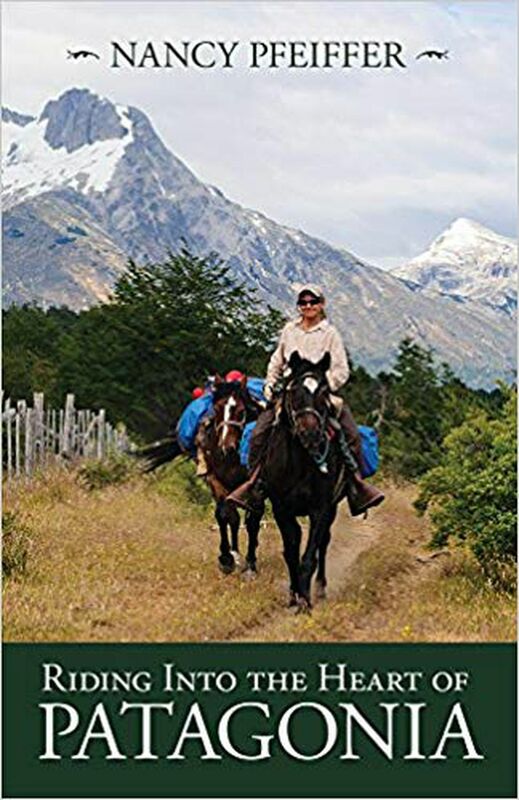 In Patagonia, she bought a horse and then rode by herself, on trails deep into the province of Aysen, through the southern spring. Finding her way with unreliable maps, crossing rivers, camping, dealing with her wayward mare, subjecting herself to inclement weather and difficult terrain, sharing bread and maté with farm families who were always surprised to find a blond-haired gringa traveling alone — she rode herself into a way of life and a profound self-awareness. Convinced that "I would meet the people along the way who would teach me the things I needed to know," she found that what she needed to know was far more than practical life skills. For two more decades, Pfeiffer made repeat trips to Patagonia, sometimes alone but more often with companions, to travel by horse over ever-more-challenging routes, including some that locals called impossible. Her book recounts both her outward, physical journeys and her inner ride into a slower, accepting-what-comes consciousness. She learned to live with openness, trained by horses and tutored by all those who shared their stories. Through the years and the individual rides, she also came to monitor the changes in the country, including roads, dams, migrations to cities, increased tourism, and the buying of property by wealthy people who displaced farmers. She found ample comparisons in the history of Alaska's development. Always, it seems, the gringa was welcomed into Patagonian homes with generosity. The stories she tells of the lives she encountered are filled with appreciation for the simple comforts of food, shelter, family, and friendships. Traveling alone as a woman, she sometimes met skepticism about her abilities but never, in her account, felt endangered or even disrespected by others. Over time, though, change came to the country. In the final section of the book we learn that a multinational energy company was prepared to build five giant dams on two wild rivers, to flood more than 15,000 acres. The associated power line, 1,500 miles long, would connect to a copper mine in northern Chile and result in the world's largest clear-cut, dividing multiple national parks and forest reserves. The power would fuel aluminum plants and other high-energy industries. "The people of Patagonia were adamantly against the project, but how do people who live on remote farms and in isolated villages gain a voice? They hold a Cabalgata, a 330-kilometer horseback ride, in protest of the dams." Pfeiffer, of course, joined the ride. It was on this ride that she convinced herself that she needed to write a book to share the stories of the people she'd met across the years and to celebrate a place and way of life largely hidden from the rest of the world. In an afterword, Pfeiffer tells us that a corporate partner in the dam project, citing "non-support from the community" as one of its reasons, eventually withdrew from it, and that in 2014 Chile's president canceled the permits. Much of the land in question has subsequently been set aside for conservation. Pfeiffer concludes, "Rural Patagonia offers us a pristine wilderness, a working system of family farms, a whole culture of people who genuinely feel like they have enough, and a grass roots environmental protest that worked — lessons we cannot afford to lose." Readers will appreciate the black-and-white photographs spread throughout the text but will wish for more detailed maps of the country and the author's routes. The only map, a tiny hand-drawn one in the front, is nearly impossible to decipher.